*Taking both MATH 1023 College Algebra and MATH 1033 Trigonometry is equivalent to MATH 1045 Pre-Calculus. The associate of science in chemistry program is designed to fulfill the needs of students desiring to prepare themselves for positions in a field of chemical industry and/or related areas. 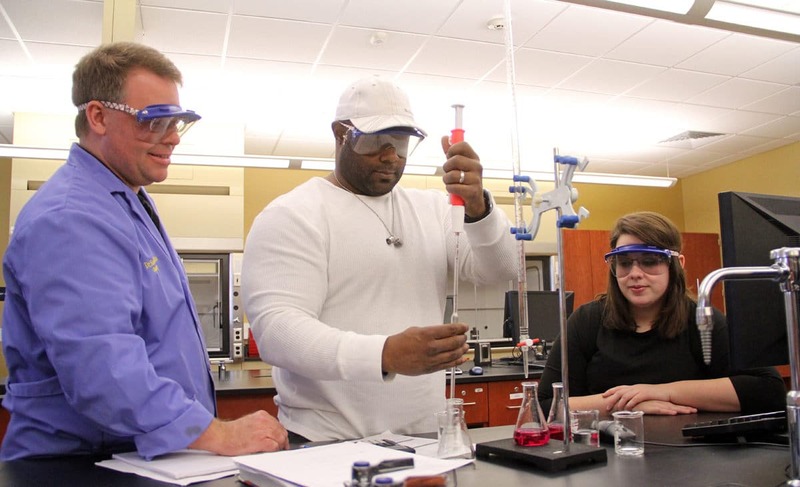 The degree can be used for the first two years of a degree plan for any of the chemistry bachelor degrees at SAU. Students completing this program will be prepared to fulfill positions in chemical industry that do not require a four-year degree.